Silk is an amazing protein based fiber, produced by silkworms for their cocoons. It is tough, luminescent and long lasting. 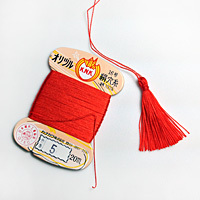 Silk is a naturally made product and the quality of the filaments depends on the silk worm race, diet and the climate. The final quality of the silk also depends on the processing of the raw material and the care and skill of the factory where the thread is made. 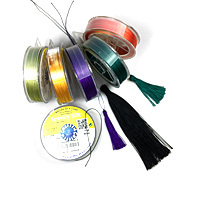 Filament silk is made out of continuous fiber and is also called reeled silk. 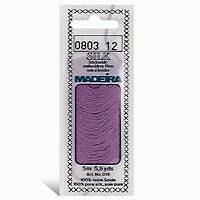 Spun silk is made with silk strands of various length that are spun together. 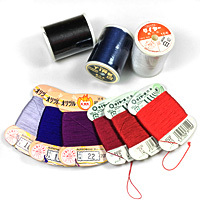 The length of the silk stands and the type of thread construction vary. 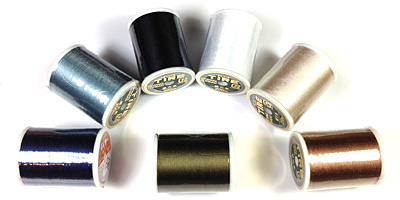 Filament silk is long lasting, strong, pliable and elastic, the perfect choice for any precious items or future heirlooms. 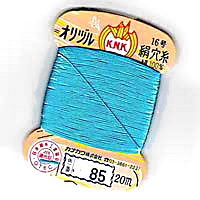 KANAGAWA 1000 Denier Embroidery Thread and FUJIX TIRE #16 Buttonhole Twist & Embroidery Thread are colorfast. They will not shrink or bleed color when washed by hand or dry cleaned. 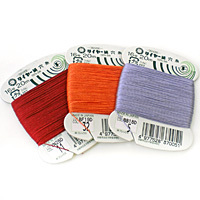 Silk has many uses, from embroidery to fly tying... with tassel making, crazy quilting, kumihimo, bead stringing and bead weaving in between... and of course for tailoring. 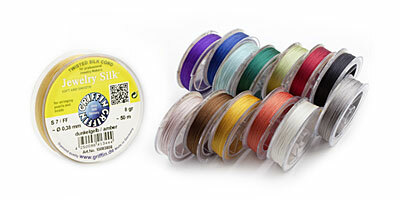 Griffin Jewelry Silk is an outstanding beading silk available in spools. Still not finding what you are looking for? 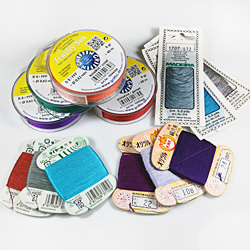 Check the thread specification page or send a self-addressed envelope for free samples.